Yamada, M., Y. Matsushi, M. Chigira, and J. Mori (2012). 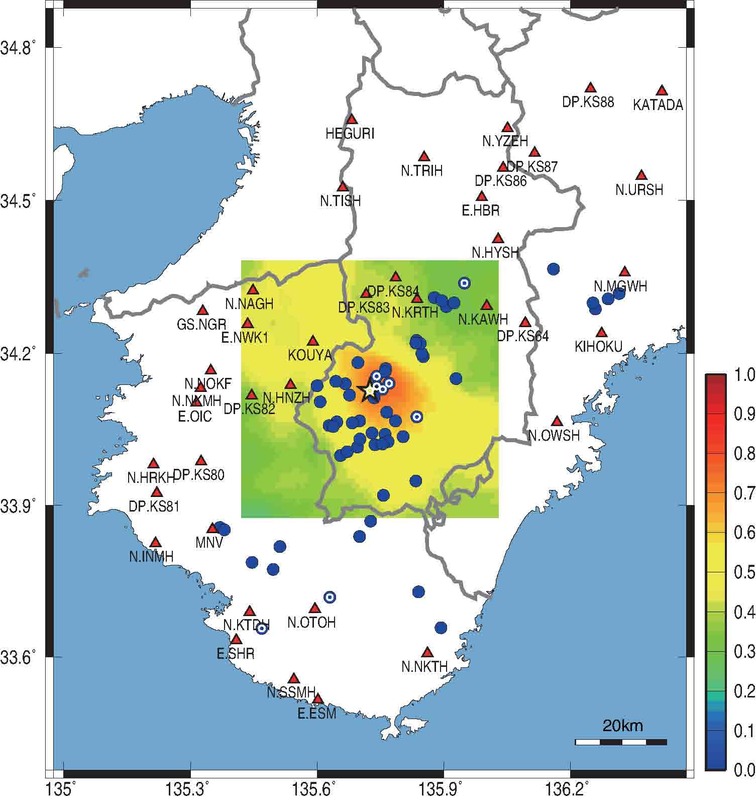 Seismic recordings of the Landslides caused by Typhoon Talas, Geophysical Research Letters. 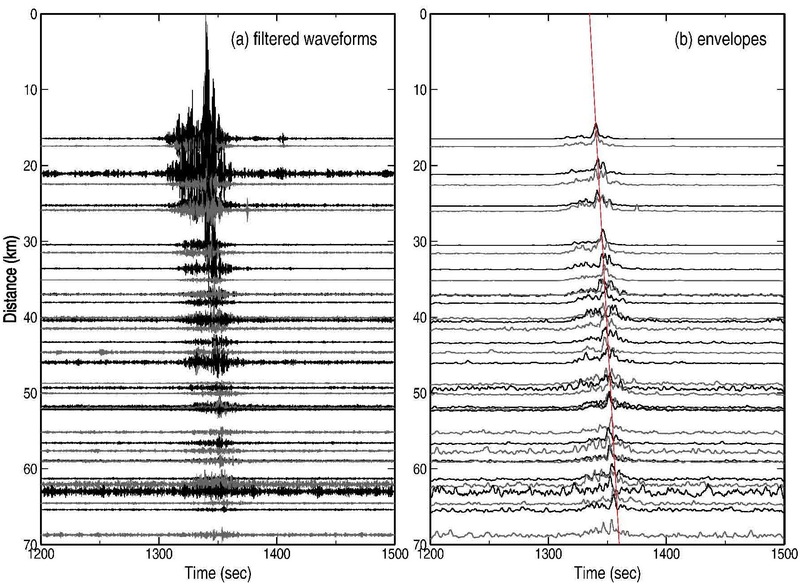 Kanamori, H., J. W. Given, and T. Lay (1984), Analysis of seismic body waves excited by the Mount St. Helens eruption of May 18, 1980, J. Geophys. Res. 89, 1856-1866. Lin, C.H., H. Kumagai, M. Ando, and T.C. 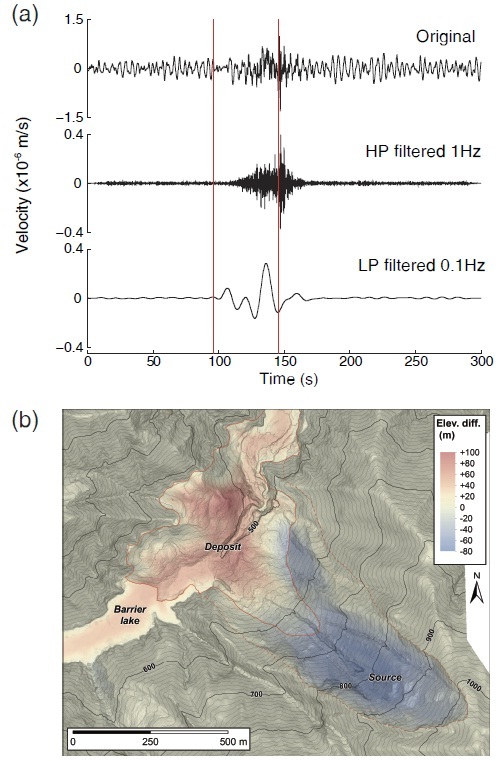 Shin (2010), Detection of landslides and submarine slumps using broadband seismic networks. 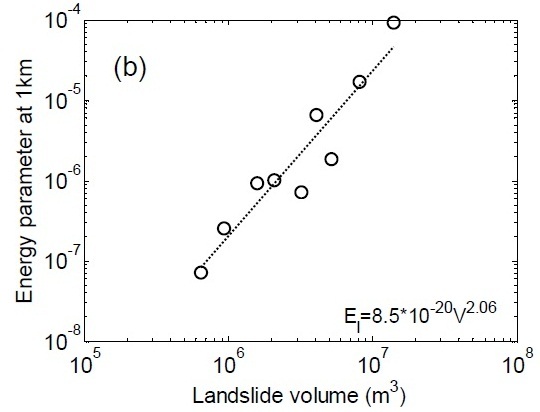 Geophysical Research Letters 37(5), doi:10.1029/2010GL044685. 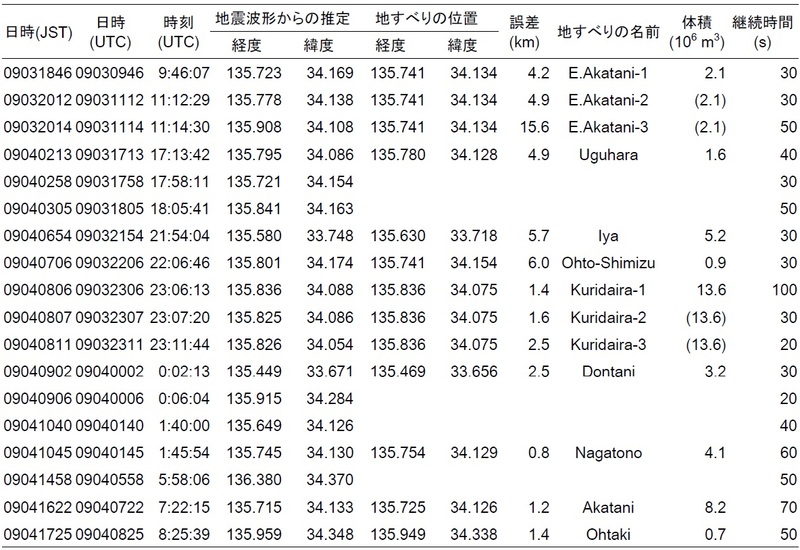 Osumi, T., H. Asahara, E. Shimokawa (2005), Analysis of Ground-vibration induced by the 10 August 2004, Ohtou Landslide in Nara Prefecture, Japan using the Data of High Sensitivity Seismograph Network : Application to Landslide Detecting, Journal of Japan Society for Natural Disaster Science, 24(3), 267-277 (in Japanese). Copyright (C) 2012 Masumi Yamada, All rights reserved.